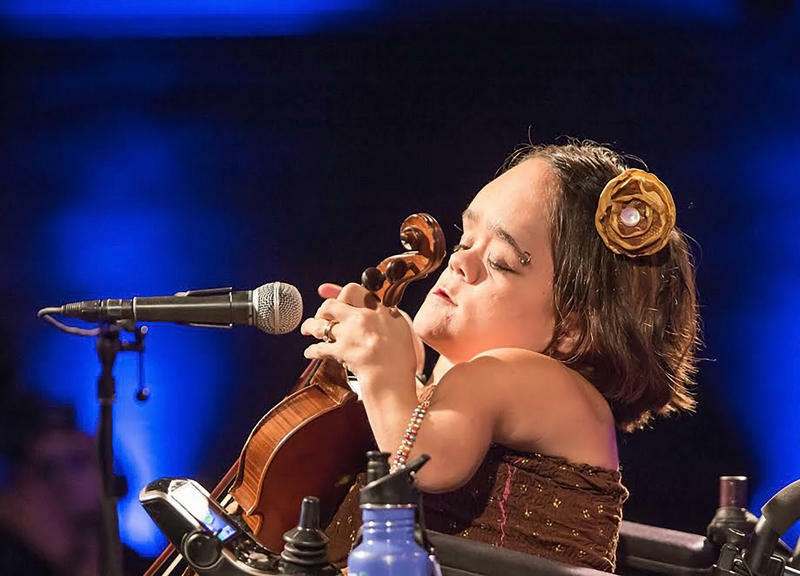 Mindy Heusel, host of Perspective on WVIK, interviews 2016 NPR Tiny Desk Contest winner Gaelynn Lea. Plus, hear some of Lea's music ahead of her performance this weekend at Daytrotter in Davenport. Gaelynn Lea, winner of NPR's second annual Tiny Desk Contest, returns the Quad Cities to perform at Daytrotter in downtown Davenport this weekend. Lea talks with Mindy Heusel, host of Perspective on WVIK, about how her life has changed since winning Tiny Desk, how she crafted her unique sound, and how she's using her platform to advocate for better access to stages and venues for musicians with disabilities. Watch Gaelynn Lea's 2016 Tiny Desk Contest submission video, and listen to her full interview with Mindy Heusel above. Daytrotter is located at 324 Brady St. in downtown Davenport. Doors open at 6 p.m. and the show begins at 7 p.m.